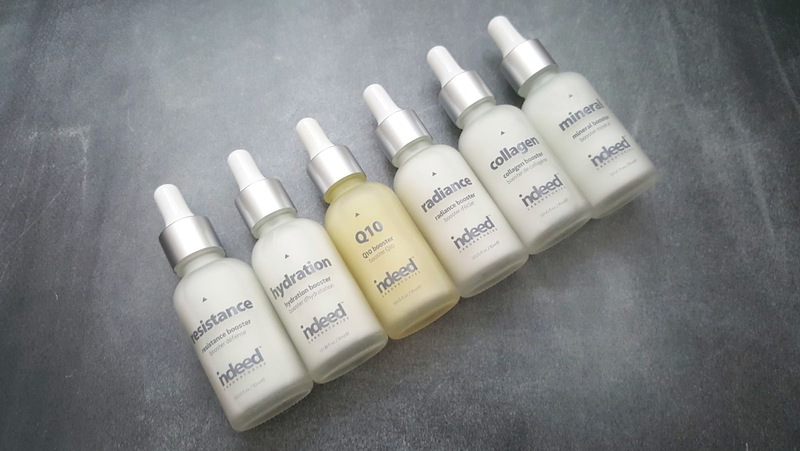 We all know that everyone has a different skin type and concern - even if you think you've found a skincare routine that suits you, sometimes things can change. The weather may get colder, you may not have had enough sleep the night before, partied too hard, or you might just feel like your skin could use some extra radiance, that it's lacking its former youthful glow. I have previously written about Indeed Laboratories before, specifically the Vitamin C24 which I had absolutely LOVED. I always use this when my skin feels blah, looks flat and has lost the glow and plumpness. I can always count on this product to give me what I need. 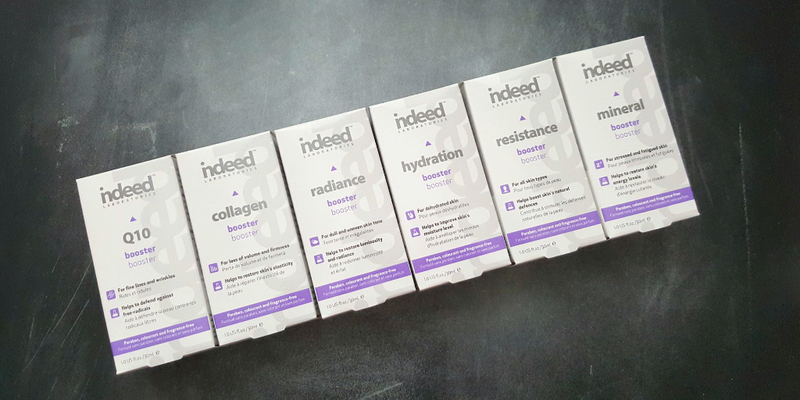 Well, Indeed has done it again, they have created six new boosters - collagen, hydration, Q10, radiance, mineral and resistance. 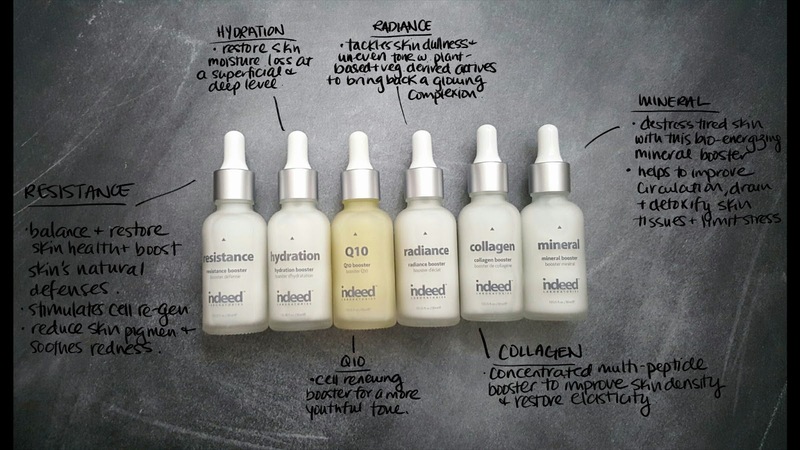 Each of these serums/boosters help you to create your very own skincare army. You can use these alone, add them to your favorite serum, foundation or even cream to multi use them to help meet your daily skin care demands and goals. They retail for approx $24.99 each (please visit your local Shoppers Drug Mart or online on the Indeed website for more specifics on their price points. I have been using these as serums ever since I got them. I feel like its the best way to layer it into my skincare and have it thoroughly absorb into my skin. My favorites are hydration, collagen and radiance. I highly suggest that you give these products a try. I know that I was sent these for review, but honestly Indeed has not let me down. Did I also mention that they are a Canadian company? Woohoo!